To continue our ocean-inspired interior design exploration we want you to take a look at this amazing Eaux Eaux Sink by Joel Roberts. 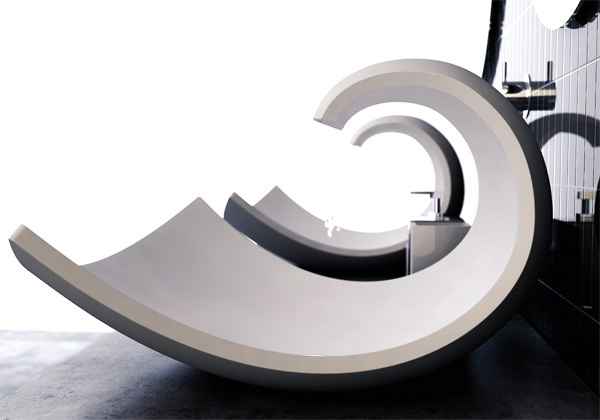 Joel Roberts is a professional finalist of the Bathroom Innovation Award 2011 and his Eaux Eaux Sink is an amazing innovative creation. 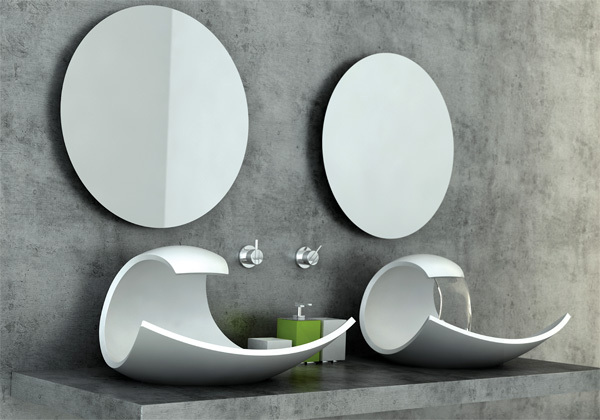 Eaux Eaux Sink is shaped like an ocean wave but has a clean and sleek design while the stream of water that comes from its spout completes the wave shape. The basin is quite open and securely fixed in the the counter top. The sink is made of stainless steel but is painted white. The body of the sink seamlessly incorporates the faucet so one can’t see how it works and only see the its beautiful wave-like form. 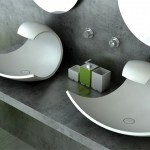 Eaux Eaux Sink would look great in any bathroom. It is water-themed and has a great sleek design and graceful lines. 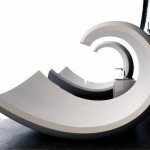 However, Eaux Eaux Sink is only a design concept. 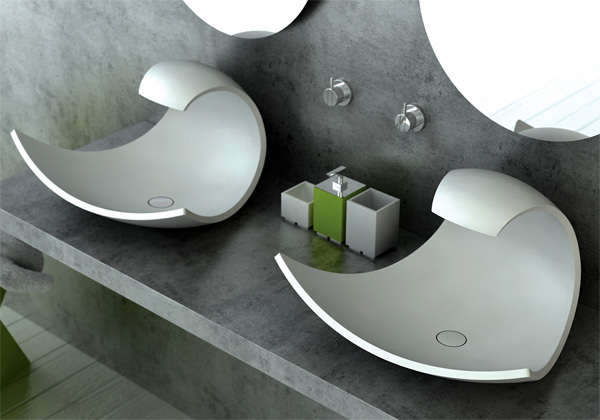 When used, the spout expels water to continue the basins collapsing wave form with a sleek clear blade of water completing the basin cycle and bringing the wave to life. Eaux Eaux’s lean body is hollowed to embody and eject the water without a hint of fixturing, evoking a playful yet mysterious nature.